Last month, Gionee launched two smartphones named M7 and M7 Power in China, but at the launch, the company did not provide any information about their international availability. However, according to a new report, the Chinese phone maker is preparing to launch M7 Power in India on November 2. Although no official information related to the launch has been received, nor any press invitation has been received. It is being told that the company is not ready to launch a grand event by launching smartphones. Media reports have found that Gionee M7 Power will be priced at Rs. 19,999 in India. 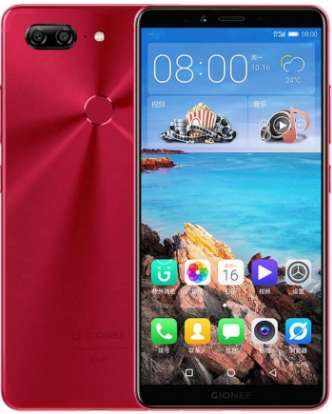 As a reminder, Gionee M7 Power has a 6-inch 18: 9 full view (720 × 1440 pixels) display. It has a 1.4GHz octa-core Snapdragon 435 processor with 4GB RAM. Its internal memory is 64GB, which can be increased to 256GB with the help of cards. Out of the box, this smartphone runs on Android 7.1.1 Nuggets. Talking about the section of the camera, the rear has a 13-megapixel camera with LED flash and f / 2.0 aperture, while the front has a camera of 8 megapixels. It has 5000mAh battery with fast charging support. Apart from this, a fingerprint scanner is also provided in its back.